Aloe Vera is known for its healing properties. 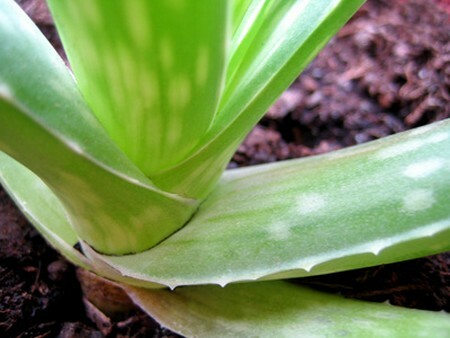 People keep Aloe Vera plant around in their households to help soothe injuries like burns, scraps and even incisions. Aloe Vera is also gaining a steady reputation for assisting in weight loss. It has a laxative effect in the body and can help rid the system of impurities and more. This plant is a great plant to grow and keep on standby just in case the need arises. The plant is known my differing names all over the world. Some admissions of the plant’s healing properties have not been proven scientifically. However, the Arabian spiked plant continues to have a reputation for helping what may be painful and infectious in the body. Here is how you can grow your own Aloe Vera plant at home. Read on for more instructions on how. Put the ¾ Dirt to ¼ rock mixture inside a clay planter with half potting soil. Push the dirt tightly around the bottom of the Aloe Vera plant. Add as much soil as you need to completely fill the clay planter. You will need to make sure your new Aloe Vera plant gets some water daily. You may need to increase the water amount when the weather is warmer. If you are a resident in a place where the weather is hot water more than you would normally. Also, place your Aloe Vera plant in the shade. It needs to be more shaded than in the sun. The sun may scorch the plant. Oppositely, if you are a resident of a place where the weather is cold, make sure the Aloe Vera plant gets as much sun as it can possibly. You also need to adjust the amount of water it receives. It should not need as much water when the weather is cool as when it is hot. Do not allow your Aloe Vera plant freeze in the cold weather. Ensure that you keep the plant warm to ensure the life of the plant. Water the Aloe Vera plant. Some people even say if you talk to the plant it will then flourish. They should remain good for the time when you might need to use the plant.